Hunan University of Traditional Chinese Medicine (simplified Chinese: 湖南中医药大学; traditional Chinese: 湖南中醫藥大學; pinyin: Húnán Zhōngyīyào Dàxué) is a public university located in Changsha, Hunan province, China. The university offers courses in Traditional Chinese Medicine. Henan lies in the Central Plains of China being the cradle of Chinese civilization. Three out of the 7 ancient capitals in China, namely Luoyang, Kaifeng, Anyang, were located in Henan. The number of underground relics of Henan ranks the first and museum collection 1/8 of the Chinese total. Three properties were enlisted as the World Cultural Heritage: Yin Ruins where oracle bone inscriptions were excavated; Songshan Mountain the origin of Shaolin kungfu; Longmen Grottoes one of the artistic treasures of stone sculpture and where Hetu and Luoshu (The River Chart and the Inscription of the Luo) came into being. Henan is the major roots of Chinese medicine and birthplace of ZHANG ZHONGJING. Great works of TCM such as the Yellow Emperor’s Classic of Internal Medicine, the Treatise on Febrile and Miscellaneous Diseases, and the Shennong Herbal Encyclopedia were completed in Henan. Henan produces over 2780 kinds of Chinese herbs, and takes the third place in terms of variety and quantity. Henan is also the place where Chen’s Taijiquan originated. The university traces its history from Hunan Chinese Medicine Specialty School established in 1934 and Hunan TCM Vocational School established in 1953. From 1960 up to a few years after 2000, it is known as Hunan College of Traditional Chinese Medicine. The current Hunan University of Traditional Chinese Medicine was officially created and approved by the State Ministry of Education in 2006 when this TCM College had successfully merged with the former Hunan University of Science & Technology and the Hunan Academy of Traditional Chinese Medicine (research-focused). The University as it stands now is primarily a teaching-oriented medical school, but also involved heavily in TCM research, providing health-care services to the province, and is one of the leading TCM universities in China. Founded in 1958, Henan University of Traditional Chinese Medicine was located in Zhengzhou the capital city of Henan province. It is one of the earliest established TCM universities in China, and the only TCM higher institution in Henan province which was approved by the Academic Degrees Committee of the State Council to confer Bachelor’s, Master’s and Doctoral degrees. It is one of the five TCM universities co-sponsored by the State Administration of Traditional Chinese Medicine and provincial government. In 2006, it was graded “excellence” in the MOE undergraduate teaching assessment. It is the international cooperation base of the Ministry of Science and Technology and the State Administration of Traditional Chinese Medicine. It is also the base for international promotion of Chinese culture and TCM, as well as the qualification test department and education base of World Federation of Acupuncture-Moxibustion Societies, thus authorized to organize international acupuncture and moxibustion level (qualification) tests and trainings. 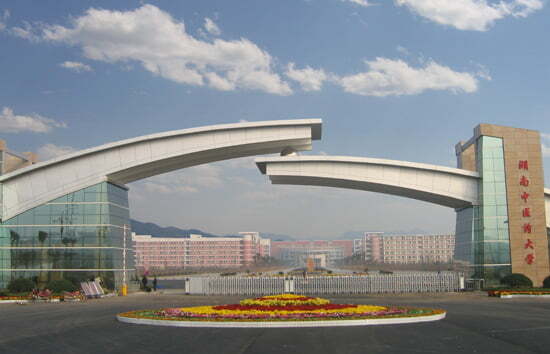 In September 2013, the university was approved by the Ministry of Education Department of International Cooperation and Exchanges to enroll Chinese Government Scholarship applicants.It has three campuses, covers an area of 1580 mu (roughly 105 hectares) consisting of 16 schools (departments or centers), provides 23 Bachelor’s and 55 Master’s programs inclusive of Traditional Chinese Medicine, Integrated Chinese and Western Medicine, Acupuncture-Moxibustion and Tuina, Chinese Orthopedics, Nursing, Herbology and Preventive Medicine. Among these 24 were listed as key discipline of the State Administration of Traditional Chinese Medicine. Under it there are 3 affiliated hospitals (all at provincial level), 125 clinical teaching bases, and 64 research institutes. In the past 57 years, it has developed into a general university out of a TCM college with over 16000 students, providing undergraduate and postgraduate (Master’s and Doctorate) programs, international education and continuing education programs in medicine, engineering, science, management and arts. The university has established friendly relationship with over 50 educational, research, and medical institutions worldwide. The university was among the first group of higher institutions approved by the Ministry of Education to start international education in 1993. Presently most international students are enrolled in Bachelor’s, Master’s, and Doctorate programs for Chinese Medicine, Herbology, Acupuncture-Moxibustion and Tuina as well as TCM-related short-term trainings and Chinese Language programs. International education of the university features Chinese Medicine in combination with acupuncture, life preservation, kungfu and meditation. The School of International Education takes charge of admissions and teaching management of international students. It was awarded by the China Association of Higher Education for excellence in international education. It was the only TCM university competing in the final of “China Exploration 2013” a sports and cultural competition for international students in China, which was sponsored by the Department of International Cooperation and Exchanges of the Ministry of Education of P.R. China. One of the earliest of its kind in China, Henan University of Traditional Chinese Medicine was established in 1958. It was authorized by the State Academic Council to confer Bachelor’s and master’s degrees, and to collaborate with other universities or colleges in enrolling doctorate students. It was also approved by the Ministry of Education to enroll international students as well as students from Hong Kong, Macau, and Taiwan. HUTCM offers bachelor’s degrees in medicine, management, engineering science, and arts with 14 specialties as Chinese medicine, herbology, pharmaceutical engineering, acupuncture and tuina, integrated Chinese-Western medicine, and public management. It also offers master’s degrees in 21 specialties, including Chinese internal medicine, Chinese pediatrics, herbal prescriptions, herbology, acupuncture and Tuina are the key programs of Henan Province. The University faculty includes 15 doctoral tutors, 94 professors, 425 associate professors, 714 lecturers on campus, and 16 state-nominated and 10 province-nominated distinguished specialists. HUTCM has presently over 10000 students including over 150 international students. It comprises 20 laboratories, and 3 hospitals besides a central lab, a herbal plantation for quality control, a pharmaceutical factory, and specimen rooms. 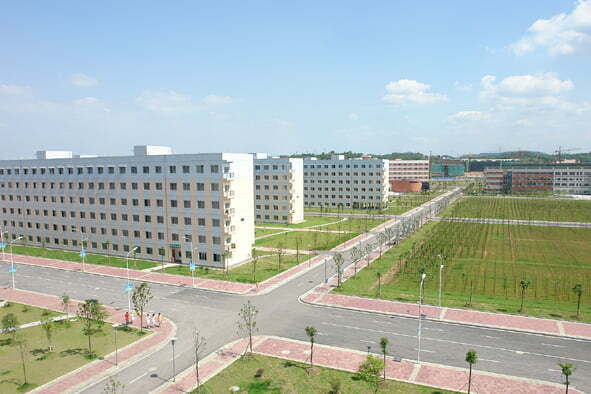 A number of institutions have been established in this university in the studies of Zhang Zhong-jing’s theories, AIDS, hepatic diseases, gerontology, splenic and gastric diseases, pediatrics, rheumotoid arthritis, and ophthalmology. The University library has a collection of over 500,000 volumes, and over 2,000 varieties of periodicals both from home and abroad. Medicine can be divided into modern medicine (which is usually said Western medicine) and Chinese traditional medicine (including medicine, Tibetan medicine, Mongolian medicine, etc.) The study costs would be more affordable and relatively simple to obtain in terms of medical degree and certificate physicians if students choose their abroad study in China. TCM (Traditional Chinese Medicine) is the most traditional one in Chinese medicine; Traditional Chinese medicine is an experience integration of ancient Chinese ancestor, including the years of lessons in life and five Millennium lengthy summaries of the results and practice in medicine. Learn the benefits of Chinese medicine can equip people to deal with the problems that Western medicine medical treatment cannot be involved and solved. The traditional Chinese medicine herbs, massage, massage, smoked bath, acupuncture, qigong health and even our lives living contain theory of Chinese medicine. Hunan University of Chinese Medicine is a government owned university founded in 1960 , Located in Beautiful & Moderate city Changsha, Capital of Hunan Province. Project of foreign medical students started in 2008 by School of Medicine in English Medium . 3 batches of Pakistani students are graduated with more than 195 Pakistani and other national students. More than 600 Foreign Students from Macao, Hong Kong , Russia, Africa, Sudan, Malawi, Zambia , USA , Somalia , Oman , KSA are Studying Including more than 240 Pakistani Boys & Girls in MBBS Program. Course Duration is 6 years of MBBS (1+5) including one year Clinical Internship. Muslim Canteen , Separate hostels for boys & girls which are 3 star fully furnished and central heated. Hunan University of Chinese Medicine has 10 Affiliated Hospitals. Hunan University of Chinese Medicine is recognized and Listed by WHO in link https://search.wdoms.org/ , IMED , FAIMER , AVICENA & Graduates are eligible to apply to ECFMG for ECFMG certification. IMPRESSIVE FEATURES OF HUBEI UNIVERSITY OF ARTS AND SCIENCE, CHINA. 1) Many Foreign batches already graduates from University in MBBS Program with more than 1042 Student & More than 150 Pakistani Students ( Boys & girls ) are Studying in MBBS Program. 3) Started MBBS Project for Foreign Students in 2008.